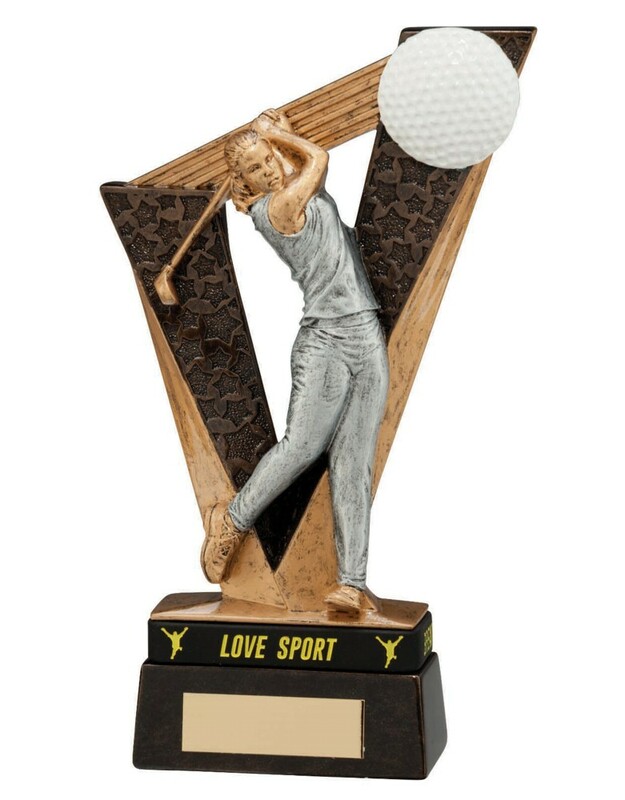 Victory Resin Golf Female Figure Awards. Available in 2 sizes, 180mm and 200mm high. Resin antique award with gold, silver and white detail. Male version also available.